Mangaluru, Feb 22, 2016: Reports state that one BJP activist was stabbed by a group of miscreants in broad daylight on Sunday, February 21. BJP activist stabbed in Bajpe-1The injured identified as Prakash, is a resident of Bajpe. 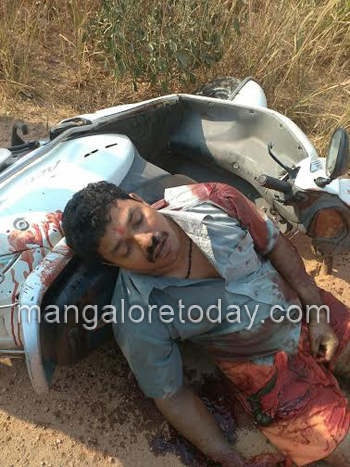 A group of miscreants stabbed Prakash while he was riding his scooter. The culprits then sped away. The cause of the murder attempt is yet to be ascertained. Locals who saw him lying in a pool of blood, rushed him to a private hospital, where he is recovering.